The way readers consume and discover new books is rapidly changing, which is why you should consider making your work available by putting your books on subscription services. Earlier this year, Walmart (the world’s largest retailer) announced it would start selling eBooks through its own co-branded app and Google released a new in-home way for readers to listen to audiobooks. Meanwhile, brick and mortar stores, like battleships going to rust, continue their slow and hulking demise. And now you can add another development to the forces warping the publishing world: the industry-wide adoption of subscription-based reading services which allow customers the chance to read as many books as they’d like for a minimal monthly fee. Publishers, tech giants, and service companies are all racing to become the Netflix of eBooks. 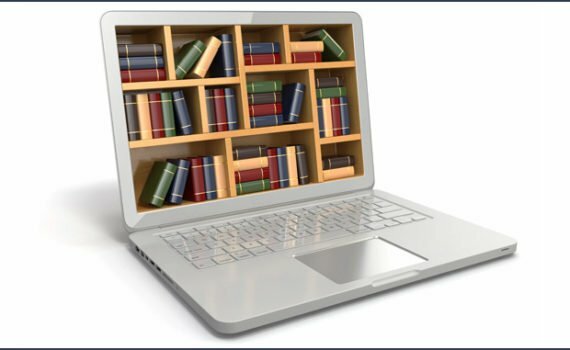 For independent authors, hosting books on subscription services has become a necessary part of the publishing process. Not doing so would be equivalent to siloing your new TV series on basic cable, or releasing your debut album solely on vinyl. Here’s why. One of the chief benefits of subscription services is they allow readers to “try before they buy,” sampling new authors before committing to a purchase. That kind of freedom used to be impossible, since readers only had a thin selection of digital preview pages to decide whether or not to purchase a book. As a result, readers took fewer chances on authors they were less familiar with. But readers are far more likely to investigate new authors, and try out new genres and writing styles, if it doesn’t cost them anything extra. For authors who lack the marketing resources of traditional publishing houses, subscription platforms serve as a great way to introduce your work to new audiences. In this sense, subscription platforms aren’t just vehicles of distribution: they are channels of discovery. As an independent author, you need to realize these streaming services are not a flash-in-the-pan solution for selling more books. With major companies in the self-publishing industry moving to subscription models, self-published authors will do themselves a disservice by not taking advantage of every tool at their disposal. Amazon allows authors participating in theKindle Direct Publishing program the chance to house their books on Kindle Unlimited at no additional cost. Hoopla, a company that partners with local libraries, allows writers to make their books available to any reader across the country who has a library card. And Scribd, a company claiming to be “the Netflix for books,” has over 500,000 subscribers. Combined, these companies reach millions of readers every day, many of whom are actively looking for new authors telling new stories.BookBabyoffers all three of these options to our customers. If you’re not making it easy for subscribers to discover your work, you’re leaving thousands of potential fans behind. If nothing else, subscription services provide authors with additional revenue streams. Similar to how musicians on Spotify are paid according to the number of times their songs are streamed, authors with books available on subscription platforms are paid according to the number of pages read. That means readers don’t need to purchase your entire book for you to make money. If they only read 25 pages of your novel, you still get paid for that. But the real benefit to publishing on a subscription-based platform is the opportunity to have new readers stumble upon your work. As a member of that platform’s community, readers are more likely to give your work a chance. And if they become fans of one of your books, chances are they will read others in your catalog, which means more reads, and ultimately more money in your pocket. At the end of the day, you’re not losing anything by publishing your book on a subscription platform like Kindle Unlimited. But by not doing so, you’re certainly missing out. Think of housing your books on subscription services as a marketing tool. The great debate over the past decade has been whether the publishing industry is dying. But innovations like subscription models prove that the art of writing and publishing books isn’t dying at all — it’s evolving. 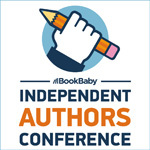 Join Steven and a host of great presenters, speakers, and exhibitors at BookBaby’s 2018 Independent Authors Conference, November 2-4 at The Sheraton Philadelphia Society Hill Hotel in Philadelphia! The Independent Authors Conference is the only writing conference dedicated to helping independent authors publish successfully. Register now! Don’t miss this opportunity to listen and learn from some of today’s leading self-publishing experts!